This summer we have been TRYING to have lots of fun while still staying ready for school next year. It has been a balancing act, mostly for Mommy. Let’s face it, summer is one of our only times to slow down in the entire year. So while Mommy wants to keep these kids sharp, focused, and ready for next year Mommy also wants to sleep in and lay by the pool or swim and do handstands too! But I have tried. And trying is the best. This month we wanted to share with you a little STEAM (Science, Technology, Engineering, Art, Mechanics) activity that we tried. I found this awesome tutorial at Little Bins for Little Hands. This great activity teaches it all. It is a fun artistic endeavor that allows kids to learn by doing. It also is a fun activity that lets kids explore through play. Which is a win-win in my book. 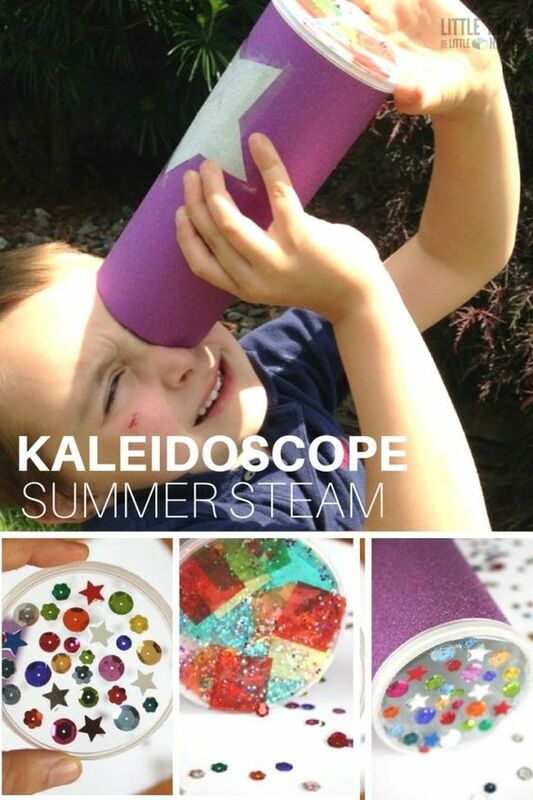 This simple Kaleidoscope lets kids learn how to build, design, and complete a task. It is fun, artistic, and creative. We loved working on these together. The kids each had a very different kaleidoscope than their siblings. Even though we made them all together everyone made their own unique design. Then we took them outside to see them work in bright light, shaded light, and back in the house with no light. It was a lot of fun and very simple to accomplish. Now I feel as if I have helped them to hone their STEAM skills and I didn’t sacrifice my fun time for summer. be sure to head on over to Little Bins for Little Hands for the full tutorial, and be sure to check out their other great fun activities that teach through play! This entry was posted in Activities, Learning and tagged Activities, art, creative, fun, kaleidoscope, learn, learn through play, learning, Little bins for little hands, STEAM, stem, summer, the boys store on July 19, 2018 by Lacy. We normally discuss things that make life easier with our kids, but sometimes what makes life with our kids easy is our sanity. Now I don’t know about you But I LOVE my car. I am in my car a LOT. Especially when the kids are home for the summer. We go places to get out of the house and avoid boredom, we go on family trips, and we go back and forth to summer activities like swim lessons and playdates. My children destroy my car on a daily basis. I have learned to pick it up a little everyday. Get toys, food wrappers, books, etc out when I drop them off somewhere. But with them home all summer I find it more difficult to keep it clean because they are always with me. 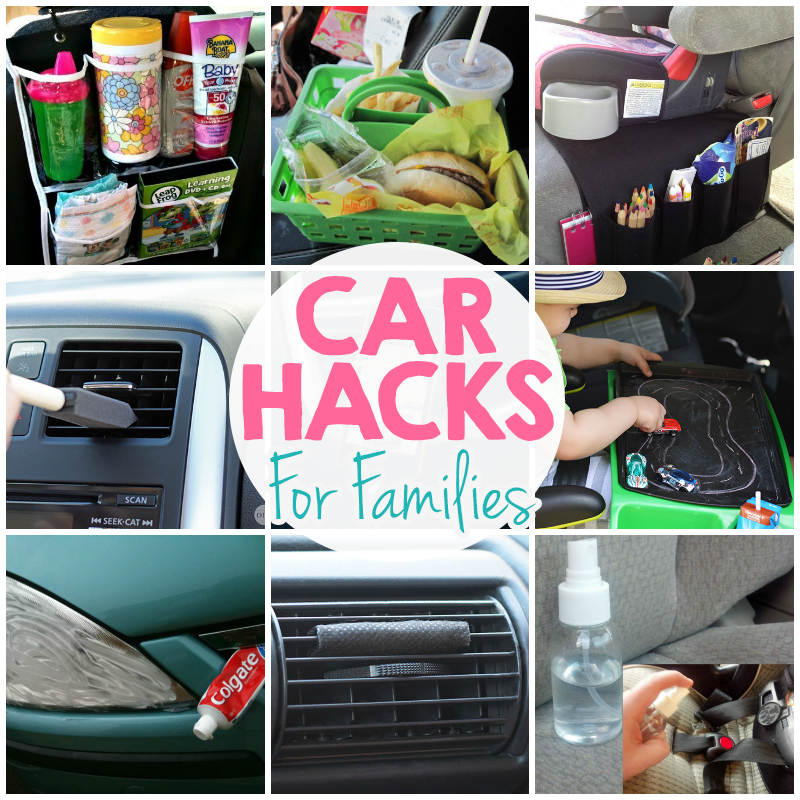 I recently stumbled upon a few ideas that are helping me to keep my sanity this summer by ensuring my car is a lot more organized and I am a lot less stressed. I found this great blog post on I Heart Arts and Crafts and I am so excited to share it with you. Be sure to head over and check out her secrets to keeping your car clean this summer. 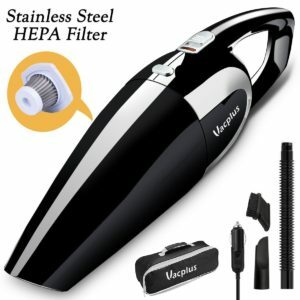 One of my favorite ways to keep my car clean is to keep a little vacuum with my all the time, after all kids + food = mess. I love this little guy from Amazon. I use it ALL the time! I always feel better when my car isn’t such a mess. It is the same with my house, if it is organized I feel less stressed, and if I am less stressed I can spend more time enjoying my kids. I hope that some of these tips are helpful for you too! No one wants to be stressed on summer break! This entry was posted in General and tagged amazon, car, car cleaning hacks, car hacks, I heart arts and crafts, mom hacks, Organization, parent hacks, stress hacks, summer, summer car hacks, the boys store, vacuum on June 4, 2018 by Lacy.